Ten months after Hurricane Irma and a deluge of complaints into the state Attorney General’s office accused some Florida businesses of jacking up gas prices or hiking up the nightly rates for hotel rooms, Pam Bondi’s office has formally reprimanded ten Florida businesses. You heard that right, ten. “It doesn't look like it.” said Newtown. “I think they've tried hard to make the numbers look like they are but there's just very little action,” he said. Newton is referring to this, according to an AG spokesperson with Bondi’s office, more than 2,000 consumers have or will receive money for being overcharged during Hurricane Irma, which made landfall on Cudjoe Key Florida as a Category 4 hurricane last September. “It was actually not our mistake. The cost to us was $9.99. 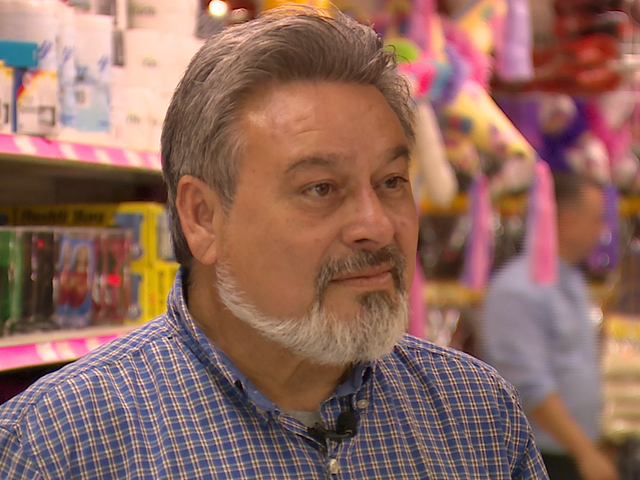 They [the distributor] were supposed to give it to us for $4.99.” Illikal goes on to explain that they were slapped with $2,000 in state fines because they didn’t post a sign informing customer’s that the distributor raised water prices on them which is why the price was higher. The store was also ordered to pay some customers back. "They are totally wrong," he said about the state investigation that costs him $2100 in fines and restitution. “Why didn’t you challenge the state,” asked Katie LaGrone. 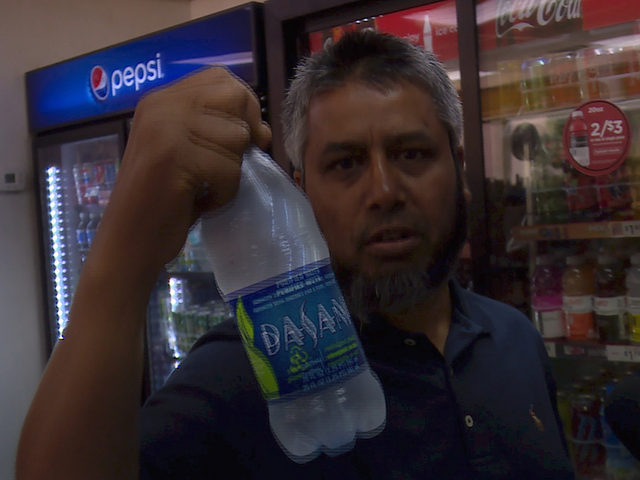 We have asked the state for a copy of its investigation at Hossain’s gas station which included 7 complaints filed. According to a spokesperson with the Attorney General’s office, the office is still pursuing about 1000 more complaints. 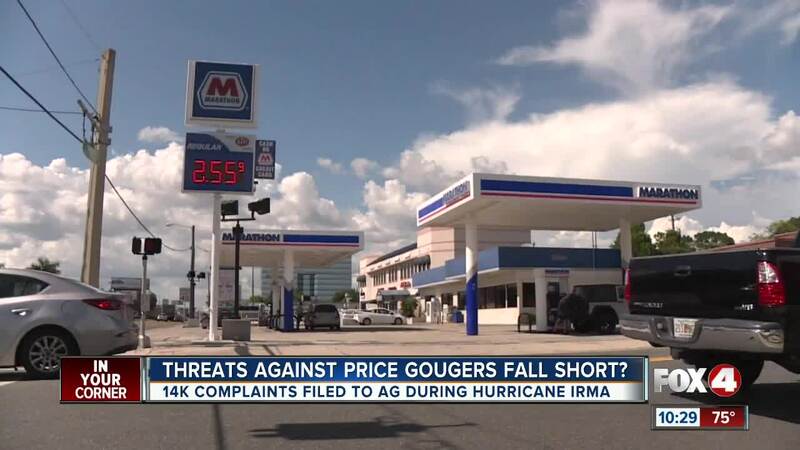 Out of the 14,000 complaints received by the AG's office during Irma about 7,600 were sent to the Consumer Protection Division for further review. According to an AG spokesperson, most complaints are not investigated because complainants don’t include enough information to support claims. A request to speak with Attorney General Pam Bondi was denied. We will continue to pursue an interview with Ms. Bondi and get answers Florida consumers deserve.